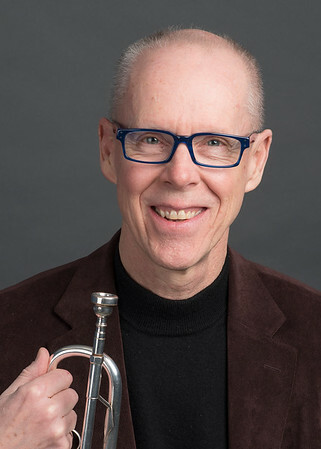 John Winkler, Professor of Trumpet, holds degrees from Wheaton College (organ performance), and Northwestern University (trumpet performance), where he studied with Vincent Cichowicz. Before coming to West Virginia University in 1982, Dr. Winkler taught at Wheaton and Messiah Colleges, conducted the Grantham Chamber Orchestra, and performed with both the Chicago City Ballet Orchestra and the Harrisburg Symphony Orchestra as principal trumpet. An active performer, Dr. Winkler has played principal trumpet in the Wheeling Symphony since 1988, and plays extra with the Pittsburgh Symphony, the West Virginia Symphony, and the Erie Philharmonic Orchestras. He serves as General Manager for the National Trumpet Competition in Washington D.C. Dr. Winkler is Music Director for the summer music program at Camp-of-the-Woods, a Christian Resort and Conference Center in New York State. © 2019 West Virginia University. WVU is an EEO/Affirmative Action employer — Minority/Female/Disability/Veteran. Last updated on October 18, 2018.